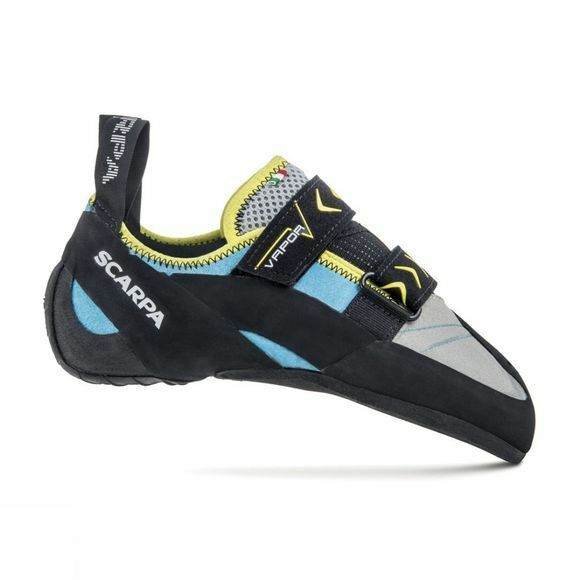 The Scarpa Vapour was a big hit when it was launched way back in 2010. It felt like it was time for an update!Still holding Scarpa's Slingshot-Power™ system the last and end use remain the same; a super comfortable shoe that is surprisingly capable getting you around! To improve the Vapour V we see updated aesthetics, added a rubber toe patch and improved the heel fit to make Scarpa's most popular velcro shoe even better.If you're after one shoe for indoor climbing, bouldering, sport climbing and even multipitch traditional climbing then the Vapour V is the shoe to choose. The awesome Vibram XS Edge rubber was too good to change...so its still there.